The sheath measures 7 inches long by 2 inches wide, is made of brown leather and contains white stitching down one side. The knife blade measures 3.55 inches long by 1 inch wide, is made of stainless steel and is attached to a light brown handle. 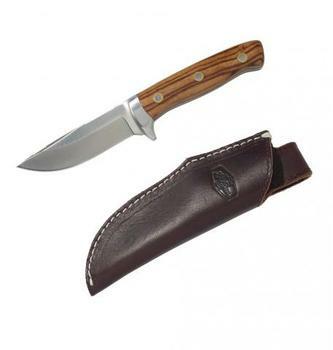 L.L.Bean is embossed on the brown leather sheath and engraved on the top of the knife blade near handle on one side. The recalled knife with sheath has the product identification number 501794 printed on the green box in which the knife is packaged. The knife with sheath, manufactured in China, was sold exclusively at L.L.Bean stores nationwide, L.L.Bean catalogs and online at llbean.com from August 2017, to February 2018, for about $90. Consumers may contact L.L.Bean at 800-555-9717 daily from 8 a.m. to 10 p.m. (ET) or online at www.llbean.com and click on Recall & Safety Info at the bottom of the page for more information.